Planning your home is one of the most enjoyable experiences about the custom home building process, however, a more challenging aspect is taking that plan and building it. At Home by Ashley & Design we have the team and the skills needed to take your plan and construct it to it’s entirety. We believe that the client should not be stressed out during the home construction phase, which is why we obtain everything from permits to materials to get the job done. Our team serves Louisville, Ohio and surrounding areas, and we are very excited to offer our same home construction services in Louisville, Ohio to you. Not only do we offer home construction, but we also offer home planning, design, and guidance on building the perfect home. “From concept to completion” is our motto. If you’d like to see some of the houses we’ve constructed and planned, head over to our portfolio page. To get started you may fill out this contact form, or simply give us a call at 330-408-7657 to begin your consultation. Bring your own ideas and we will help work them into a design that is perfect for you and your family. We always recommend picking a location first. This will ensure that during the design and planning stages we take the location into consideration. You’ll also want to make sure you place yourself close to things you need. Whether that be family, stores, job, etc. The location of your new home is the first step you should take before designing or planning. Many people have an idea of what they’d like their home to look like. Contemporary, traditional, European, modern, or whatever else suits your style. It’s our job to take your ideas and then present a design to you that meets your budget. We will only suggest ideas that are feasible for you, and always put your ideas at the top. We will begin planning the construction phase and obtaining permits to build your new home once you’ve approved our design. At Homes by Ashley & Design we have all the staff and tools necessary to get your home designed, planned, and built, all from the same stop. From Concept to Completion is our motto. Give us a call today at 330-408-7657, and check out our portfolio page. Building a new home is one of the most exciting things to do in your lifetime. For most people it’s a step that they will grow into, especially when a new home is being built to your specifications. Your budget can help determine which area in Magnolia Ohio you would like to be in, and what type of community will best suit your family. It’s hard to determine where you want to live when you haven’t made a decision on how much you want to spend. How does the process of building a new custom home work? We start by meeting you in our initial consultation where we help determine your needs, and what we can provide for you. 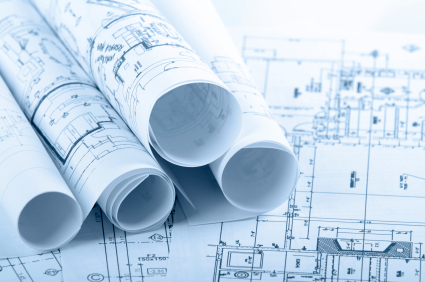 After the initial consultation we can begin working on a floor plan for your new custom home. We will then get your approval once the design has been drawn up. The more ideas you have, the more we can help you achieve them. Take pictures from a magazine that show the outside and inside of a custom home you like. These pictures will help us in the future when making the final touches to your plan. You can also drive around Magnolia, Ohio and surrounding areas to get an idea of communities you like. We encourage you to take pictures within these communities so that we know what appeals to you. There many more things to consider when planning your new custom home, and we hope to help you on your next project. To get the process started simply give us a call at 330-408-7657. The process of building a new home is rewarding, challenging, and fun as long as you have people who can guide you in the right direction. Building a new home without a doubt comes with a level of stress, but should mostly be a great experience that you’ll remember forever. Many people who are interested in home building have an idea of the style & design, which is a great deal of what we do at Homes by Ashley & Design. We also see the project through to completion. “From design to completion” is our motto. Designing a home begins by choosing the correct style and feel for your new home. 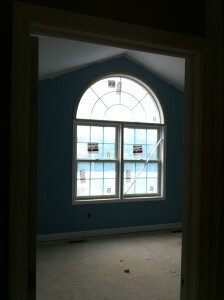 We typically like to do a consultation followed by a mock-up plan for your new home. Our home designers have over 14 years of experience, and are constantly improving upon their skills. We are proud to provide complete design and consulting services before we drive the first nail. We can begin constructing your home after the design is drawn up and approved by you. Our goal is to have the complete design finished before we begin building your new home. We also have the capability to obtain any necessary permits, and have a team that is fully insured & bonded for your protection. Sometimes we have clients that aren’t looking to build a brand new home, and are simply looking to add-on to their existing property. We also have clients that are looking to do a complete re-model of their home. Whatever the case, Homes by Ashley & Design can help you plan a new addition within a budget and goal that is feasible. We understand that you may have your own designs or ideas, and we welcome them fully. Contact our team at 330-408-7657 and begin building the home of your dreams. Let us help you on your next remodeling project! Homes by Ashley & Design is a full service team that can help you on your next home building project, design, or remodeling needs. We have serviced the area for over 14 years and have what it takes to make sure we bring quality work to you and yours. We also take care of the details so you experience a stress-free process. Things like obtaining permits can eat up time, but we make sure we take care of it so you don’t have to. Sometimes we want to take our existing homes and spruce them up a bit. Perhaps your home is slightly out dated and could use some new fixtures, plumbing, or a new addition. If you need help on your next remodeling project we can help you design and plan it out in the best way possible. We can even construct the project after it’s been approved. Homes by Ashley & Design offers remodeling services for the Ohio area, but specifically Akron, Canton, North Canton, Dover, and the Stark County area. We will meet your budget for your remodeling project and will suggest ideas that are feasible and realistic. We appreciate your input and will take all your existing ideas and work them into our design for you. Remodel your home like you’ve always wanted to! Give us a call at 330-408-7657. At Homes by Ashley & Design we stick to our motto “From Concept to Completion” by helping you plan every aspect of your home. Our goal is to take your existing ideas and make them work with ours, but still keeping your ideas and style in mind. In fact, we encourage our clients to come in with an idea of what’d they like. Keep in mind that some of the questions we ask have to do with style such as: contemporary, classic, traditional, European, etc. The better you know what you want, the better we can help make that dream come true. You’ll want to consider what types of entertainment you plan on doing, or any at all for that matter. Location is also a key step in building your home, because you’ll want to be close to family, schools, stores, and so on. Once the planning stage is over and we have your approval. We can begin moving on to the next step – construction. Our team at Homes by Ashley & Design can obtain all the necessary permits so that you don’t have to worry. It’s our job to stress over details, not yours. With over 14 years of home building, designing, and planning experience, we definitely have what it takes to make your dreams come true. Give us a call today at 330-408-7657 to begin your consultation. If it’s floor planning you require, our Akron floor planners can help you succeed in planning a perfect home. First we start by asking you several questions pertaining to style, needs, and feasibility. Once we’ve come to an agreement on a floor plan we can follow it through to the end with construction. Homes by Ashley & Design is fully insured & bonded, and we’ve been in business for 11 years. We are proud to provide complete design and consulting services before we drive the first nail. This ensures that you can rest easily, because our Akron floor planners care about the finished product and your specific needs. Just give us a call at 330-408-7657 if you’d like to begin a consultation with a Akron floor planner. You may also check out our portfolio page for an idea of what we offer. At Homes by Ashley & Design we offer a full service one-stop-shop for all your home planning, remodeling, and building needs. We are located in Mangolio, Ohio, however, we serve Canton, Akron, and Dover areas as well. When you’re trying to move forward with your home project you need people that can get things done. Our team can obtain all the necessary permits for your next project, so you don’t have to worry. There are so many details when planning a house, which is why we start with an initial consultation to gather your ideas, and share ours. 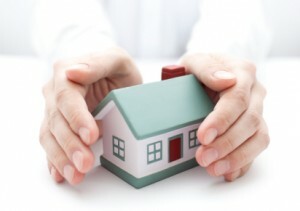 We will plan your home under your budget, and practicality. Getting a good idea of the style you have in mind and the requirements you have will help us to create a dream-like home for you and your family. From concept to completion is our motto, and we truly stand by it. All the details of how it gets done is our problem, not yours. You are simply there to portray a dream, and we are here to build it. Homes by Ashley & Design can help you with any project. Building the home of your dreams doesn’t have be a difficult experience, and we know this because we are able to assist you through every aspect of building your new home. From the initial consultation all the way through to the construction of your home — we are here. Our team has been building, planning, and remodeling homes in the Akron, Ohio area for over 14 years. First we start with the concept. We encourage our customers to bring along their existing ideas, and then we will review them to make sure they fit with your style, budget, and of course to advise if it’s a feasible idea. After taking your ideas, we build a concept that you will approve for construction. There are many things to consider when planning a home in the Akron, Ohio area such as: location, style, entertainment purposes, etc. Building your dream home in Ohio couldn’t be easier, and we are proud to be able to lend a hand. Give us a call at 330-408-7657 to begin your consultation. Visualizing your home is one thing, but turning that visual into a reality is another. Our team in Ohio has over 14 years of experience with designing, planning, and constructing homes. We offer a full-service, hassle-free experience that will have you coming back for all your home projects, building, and remodeling needs. Our process begins with a consultation where we take your existing ideas and begin drawing up floor plans that you will approve later. Once approved, we can begin the next phase where we take action on what was drawn up. Our motto is “from concept to completion”. Essentially, we are able to obtain the necessary permits, and anything else required to get the job started and finished. Building a new home or starting a remodeling project can be a burden. Our team can offer insight that will help you stick to a budget and we’ll only offer feasible options that are relevant to the style you desire. Many times we are able to offer suggestions that were not thought of originally. Please give us a call at 330-408-7657 to begin the process of your New Philadelphia home building project. Our team is fully bonded & insured. 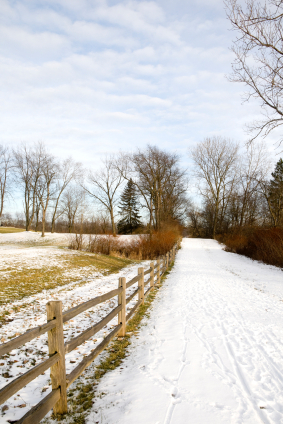 Located on the eastern side of Ohio, Tuscarawas county is a great place to build a home for your family. Our team in Ohio has provided customers with the insight needed to plan a great home, while providing a stress-free experience. We know there are plenty of details to take care of when planning a home such as: styling, location, needs, budget, and dreams. We appreciate existing ideas, and we’ll help you turn those ideas into reality. Sometimes our clients are simply looking to start a remodeling project, which is something Homes by Ashley & Design is more than capable of. Consulting with one of our specialists will help us understand your specific needs, concerns, and desires. After the consultation we can draw up plans for your approval. Once approved, we can begin applying for permits to get the job started. From concept to completion is our motto, and we truly stand by it. All the details of how it gets done is our problem, not yours. You are simply there to portray a dream, and we are here to build it. Homes by Ashley & Design can help those residing in Tuscarawas county, or surrounding areas. Give us a call at 330-408-7657, or send us a message. Deciding a location for your new home is one thing, but design & planning are another. It’s not every day that you have the opportunity to build something from scratch, which is why our staff can help you make the best decisions. At Homes by Ashley & Design we encourage people to come ready with their ideas so we can help you work within them. This involves planning with your budget, style, and needs. It also involves understanding your desires to entertain, start a family, and more. Homes by Ashley & Design is based out of Ohio and has delivered quality service and homes to families for 14 years. 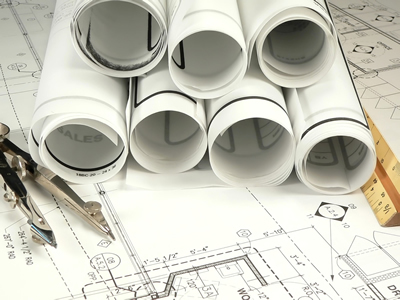 We pride ourselves on the fact that we our a full-service stop for all home planning, building, and remodeling needs. We have the means necessary to get permits and whatever else needed for the construction process, because we know how stressful that process can be. Let us know what we can do the next time you’re planning to build a home in Ohio. 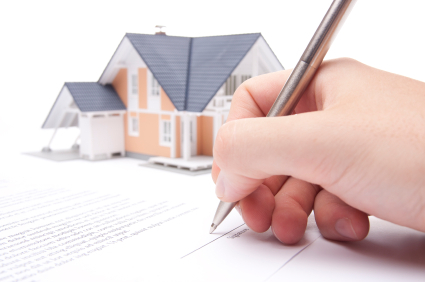 Our process begins with a consultation, and then proceeds into drawing up a plan for your approval. After many changes we will work to get the final floor plans made so that we can begin building your new home. Our motto is “From Design to Completion”, which simply says it all. Homes by Ashley & Design offer planning for those wishing to build a home in Akron, Ohio and surrounding areas. Our team has over 14 years of experience and we offer a full array of service to get your home built — start to finish. If you’re wanting to get started just give us a call at 330-408-7657 and talk to one of our Akron Home Builders. Most of our clients begin by telling us the type of style they’re interested in. After the initial consultation we will begin designing and planning your dream. Our team will collect all the necessary permits, ensuring you receive a hassle-free experience. We’re also fully insured & bonded. We pride ourselves on the fact that we can offer most home building services to you all through one firm. From concept to completion is our motto. Check out our home gallery. At Homes by Ashley & Design we have the care and experience required to plan a perfect home for you in Akron, Ohio and surrounding areas. It’s a daunting task to say the least, but a task that provides great reward in the end for both us and you. Each home we plan is treated as if it was our own — as it should be. Just give us a call at 330-408-7657 The next time you’re in need of planning a house in Akron or surrounding areas. Check out our home gallery. A crucial step when building a new home is choosing prime location. And the North Canton area has a lot to offer for people that want to build a new home. Outside of planning, you want to make sure that you pick a location that suits your lifestyle the best. For example, some of questions you may want to ask yourself are: is it close to a school, is there room to entertain, how far away is the nearest grocery store, does the environment feel right? After you’ve given it some thought, you may find that the North Canton area is the perfect place to build your dream home. 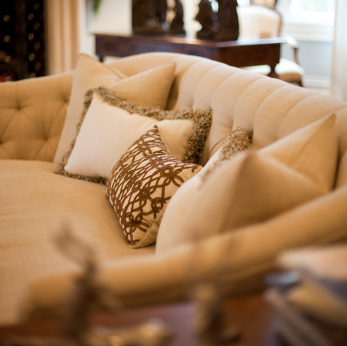 At Homes by Ashley & Design we can plan every aspect of your home from design to construction. We offer suggestions that are feasible, while making sure we fulfill the majority of your dreams. It’s often the case that we guide our clients into making decisions that will be better in the long term. After all, this will be your new home. Choosing the right location is key when building your new home, but so is feeling comfortable with your designer. Don’t hesitate to call us at 330-408-7657 and begin building the home of your dreams. If it’s floor planning you require, our Dover floor planners can help you succeed in planning a perfect home. First we start by asking you several questions pertaining to style, needs, and feasibility. Once we’ve come to an agreement on a floor plan we can follow it through to the end with construction. Homes by Ashley & Design is fully insured & bonded, and we’ve been in business for 11 years. We are proud to provide complete design and consulting services before we drive the first nail. This ensures that you can rest easily, because our Dover floor planners care about the finished product and your specific needs. Just give us a call at 330-408-7657 if you’d like to begin a consultation with a Dover floor planner. You may also check out our portfolio page for an idea of what we offer. If you’re visualizing a remodel for your home, or are interested in something completely new, you should let our Stark County home builders guide you in the right direction. We can help you from the design aspect all the way through to construction and completion of your next project. Stark County is the foundation for many beautiful homes, which is why our Stark County home builders are excited to begin your project. One aspect to starting any project is to keep a level headed idea of how you want things to go. Sticking to a budget and planning feasible ideas are key to making your next project a success. Our Stark County home builders are here to consult and can provide you with an ample amount of detail that you won’t find elsewhere. Give us a call at 330-408-7657 and we can begin your next project right away. Big or small, Homes by Ashley & Design will take care of your needs. You can also contact us via our online form. Or any other style you can dream up! 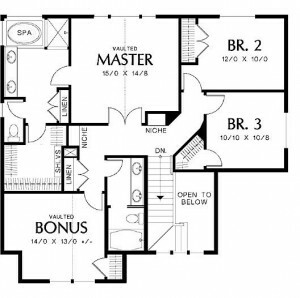 The floor plan is the first step in deciding the actual “feel” for the home, and our team in Akron can help you develop the perfect floor plan of your dreams. Your input is what will inspire us to create a unique place just for you, and a place that you can eventually call home. Our team is waiting to help your begin your floor plan design today. Give us a call at 330-408-7657 or request that an Akron floor planner call you. Planning your home is one thing, but getting it built is another. Our experts at Homes by Ashley & Design have been building homes in the Dover, Ohio area for over 14 years, and continue to provide home building services for the greater parts of Ohio. 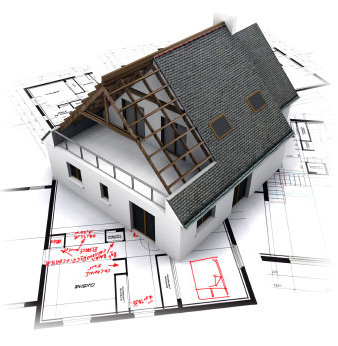 Our Dover home builders can take your existing plans, or draw up new ones. Whatever the case, we’re positive that we can help make your dreams turn into realities. At Homes by Ashley & Design we start with a simple consultation to get an idea of what your needs are. Things like size and style are very important in understanding your dream, and it also lets our Dover home builders guide you in the right direction. Once the plans are finalized we will begin our estimate for the build. Our services are not limited to building new homes either. Homes by Ashley & Design offers start-to-finish services that take care of planning, design, and construction. 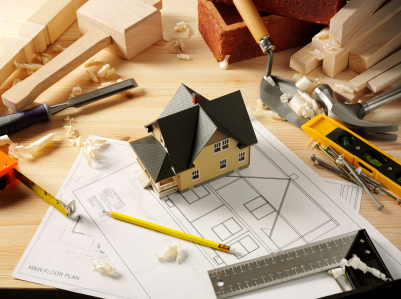 Don’t let a simple remodel stress you out when you could have our expert Dover home builders handle all the hard work. Give us a call at 330-408-7657 to begin your new home project or remodeling. You can also view our Dover, Ohio home portfolio. Planning is the first step in creating your new home or starting your remodeling project. And our staff has been planning home construction, remodeling, and design for over 14 years in the Akron, Ohio area. 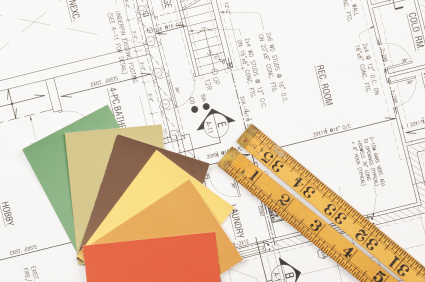 Planning your next home begins with determining the style of the project, size, and budget. At Homes by Ashley & Design we are dedicated in designing your next home plan from start to finish. 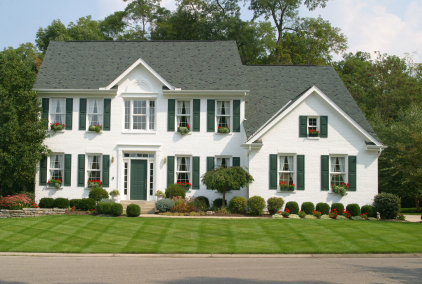 Our staff in Akron, Ohio is also capable of taking your home plans and carrying them through until finish. 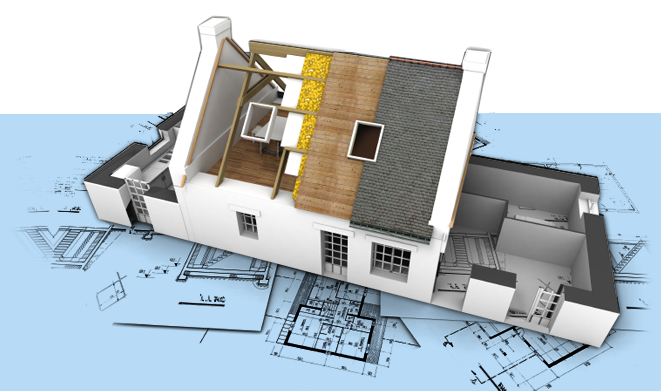 This means that we not only offer planning and design, but have the ability to construct your project or new home. Planning a home doesn’t have to be the end of the world, and we are here to help you take some of that home planning stress off your shoulders. Your home dreams should be fulfilled as long as they are feasibly possible. Sometimes we must lead the direction due to how feasible an idea is, but we always work around a suggestion/idea you have for your home. Take a look at our portfolio and give us a call when you need to plan your next home design or begin remodeling. We can be reached toll-free at 330-408-7657. Thank you! Whether you are thinking about buying or building a new custom home, or even remodeling your current home, we have the tools and knowledge needed to get you started. Our Canton home builders have more than 14 years of experience in home designing, constructing, and planning. At Homes by Ashley & Design we start with a simple consultation to get an idea of what your needs are. Things like size and style are very important in understanding your dream, and it also lets our Canton home builders guide you in the right direction. Once the plans are finalized we will begin our estimate for the build. Customers wishing to build additions or remodel their existing homes can use our services for just planning, or have the entire concept drawn up and installed by our Canton home builders. During our consultations we will always advise you in the correct direction and will not suggest things that are not feasible. Visualizing your dream is one thing, but getting it done is another. It may seem like a daunting task at first, but our staff is here to take the weight off your shoulders. We offer home planning and building in Canton and surrounding areas, so give us a call at 330-408-7657 to start your next project. Visualizing an idea for a home is one thing, but putting your plan into action is another. Our designers in Akron, Ohio have what it takes to turn those thoughts into something real – something you will love. We can design the perfect home that will make dreams turn into realities. Our home designers look at every aspect of choosing the right design in Akron, Ohio. First we start by helping you pick the perfect location, and then we’re off to designing it around that location. Designing a home requires many years of technical expertise and care. After all, this is your dream that we’re creating. With over 14 years of home design experience in the Akron, Ohio area, we’re ready to start building that perfect house you’ve always wanted. Homes by Ashley is fully insured & bonded, so give us a call without worry at 330-408-7657. Design experts are ready to turn your dreams into reality. Here’s a glimpse of what we’ve already designed in the Akron, Ohio area.